I had a love ly little potter around the garden for quarter of an hour yesterday. 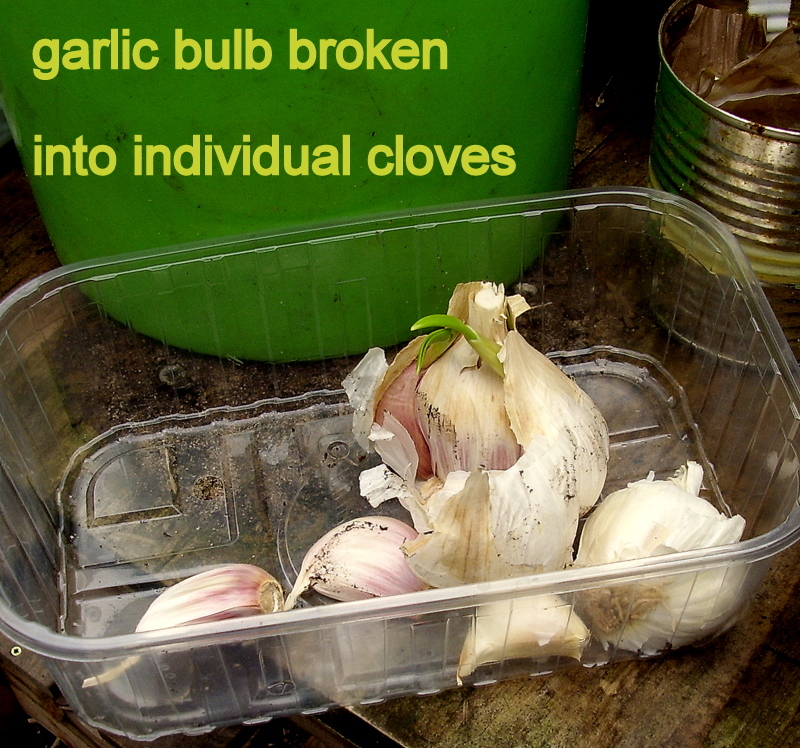 Ben gave me a sprouting garlic bulb so I planted some cloves in a ‘nursery’ bed/pot. I will be sorting out a proper place for them when my next batch of money comes on the 15th, probably a big tub, but maybe some upcycling possibility will come my way, if I keep my eyes open. transplanted while quite young. I normally grow Solstice garlic – sow in winter, harvest in summer- so this will be a very early sowing indeed, though Italians sow from August I believe. I will move the young plants on when they are 3″/9cm high, watering very well half an hour before, so that the roots are loose. 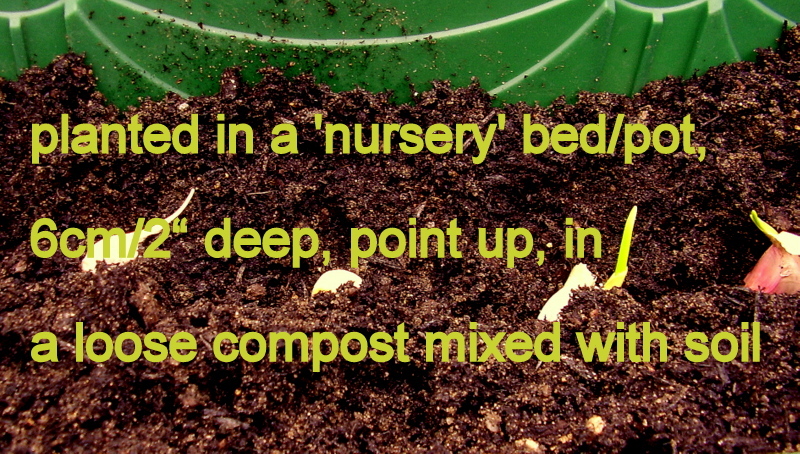 Then scoop gently and place in a prepared drill (round hole large enough to not squash the roots) and fill with peat-free compost, just like for moving leeks on. 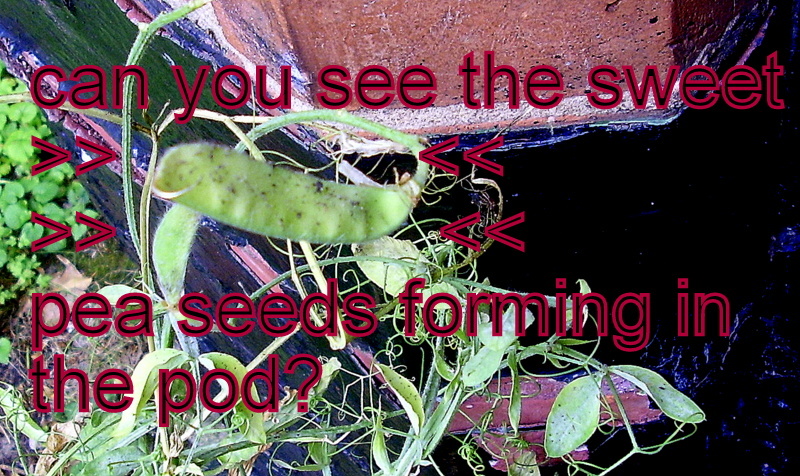 And what really surprised me is that the peas have run away with themselves and the first ‘umbrellas’ of pods are showing. All that sun, and now plenty of rain has done all the work for me, though I do need to add some more support, even short pods get heavy when they’re ripe and ready! The sweetpeas are over (I didn’t come down and cut them often enough, you need to cut daily to keep them flowering) but I am letting the plant dry out so I can gather seeds, these had a lovely scent, and try again next year. The violas will stay in the pot with the daffodils, but I might add some hellebores this winter. 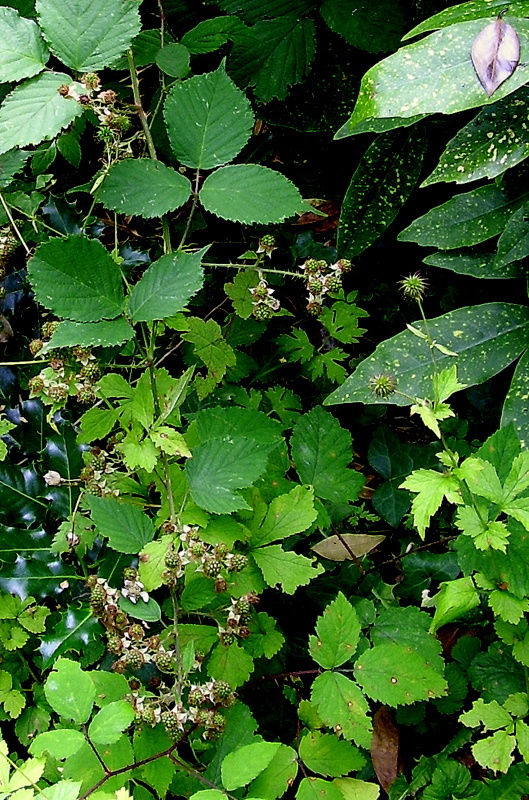 Just pottering and having a sitdown as needed, but managing tiny tasklets and seeing them bear fruit, and finding free gifts from the compost and the ‘weeds’ (see my blackberries? 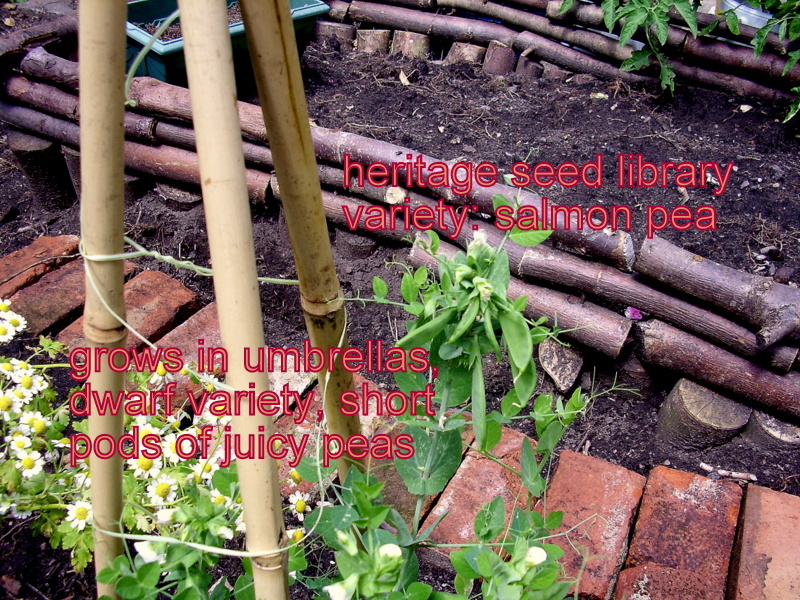 if I can just keep the boys away with their power tools, these will be lovely with yoghurt or in a smoothie) all these moments add up to a lot of pleasure, to a guaranteed upswing for my moods – pain and fatigue are really depressing, and garden therapy is one of my best re-set activities. 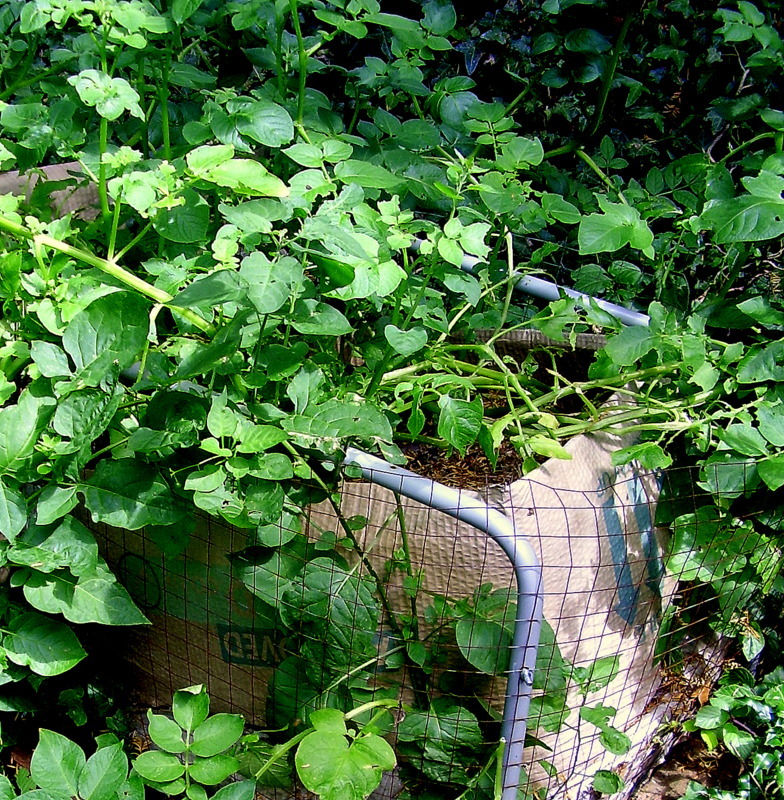 It used to be really hard to stop in time – I was used to having an allotment garden the size of 2 tennis courts and bringing home barrows of produce. But pain is a hard teacher – I have gradually got used to doing a tiny bit at a time, and asking for help for all the heavy work. 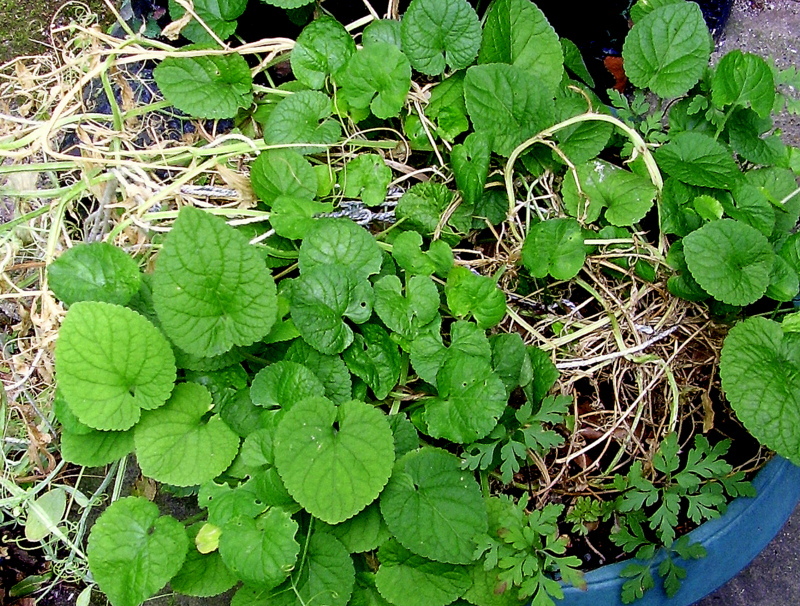 I’m not sure I could live anywhere I had no piece of garden to work in now, it’s so clear to me how much good it does me keeping in touch with the seasons and viriditas – the power of greening/quickening , and helps to balance the fibromyalgia. The days I’m too tired to get downstairs are twice as bad for that reason, but the days I can play and get my hands dirty with soil are twice as good for that reason! Lovely. I find that some of the supermarket cloves sprout fine in water and others just sit there sulking. We eat the shoots which are wonderfully pungent. I’ll try container garlic this year and see how we go. 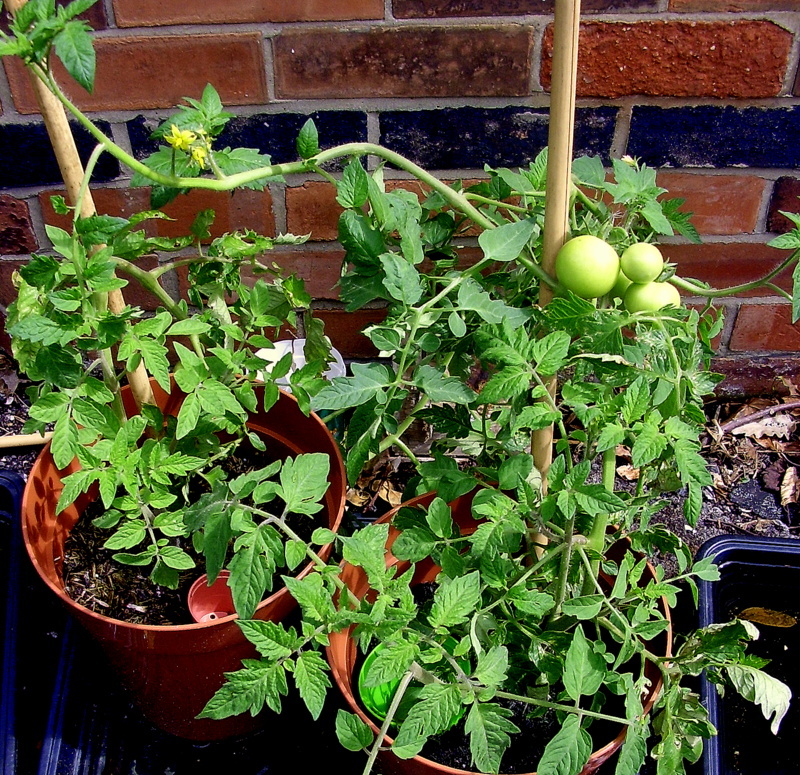 My Toms need spacing further out as those which don’t need side shooting are going too wide for their own good.